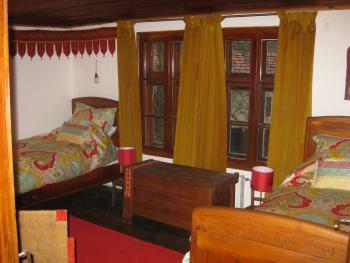 Romantic traditional Bulgarian, double en-suite room with large fireplace with wood burning stove. 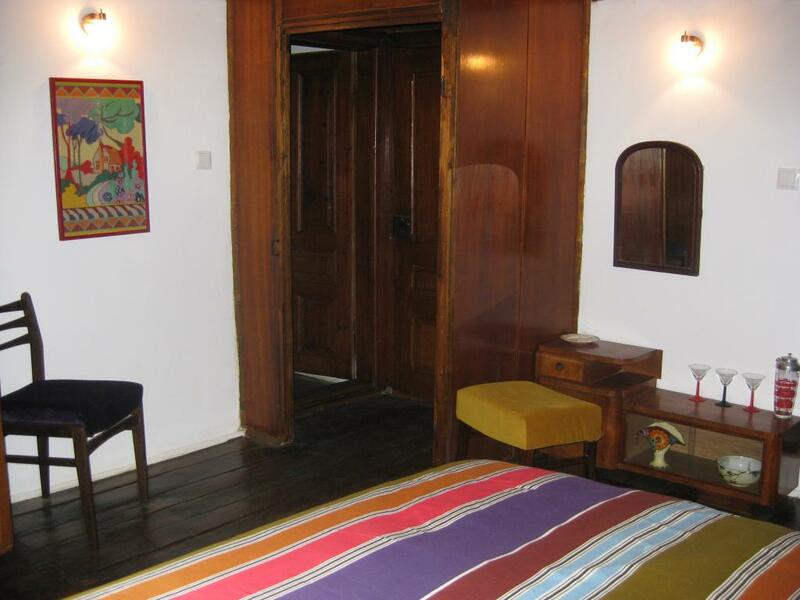 Additional atmosphere is created by the old wood panelled ceiling and floor boards. 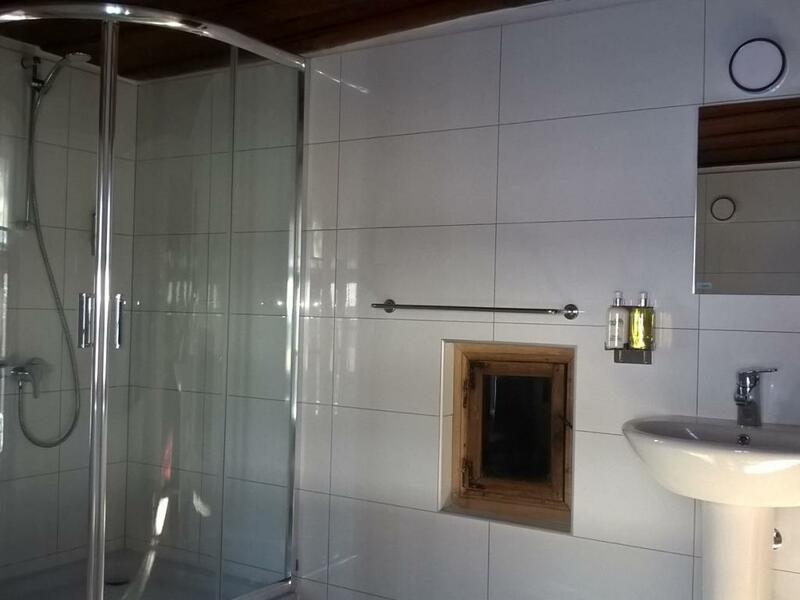 The large luxury en-suite has a separate bath and shower enclosure, and a lovely view whilst bathing. 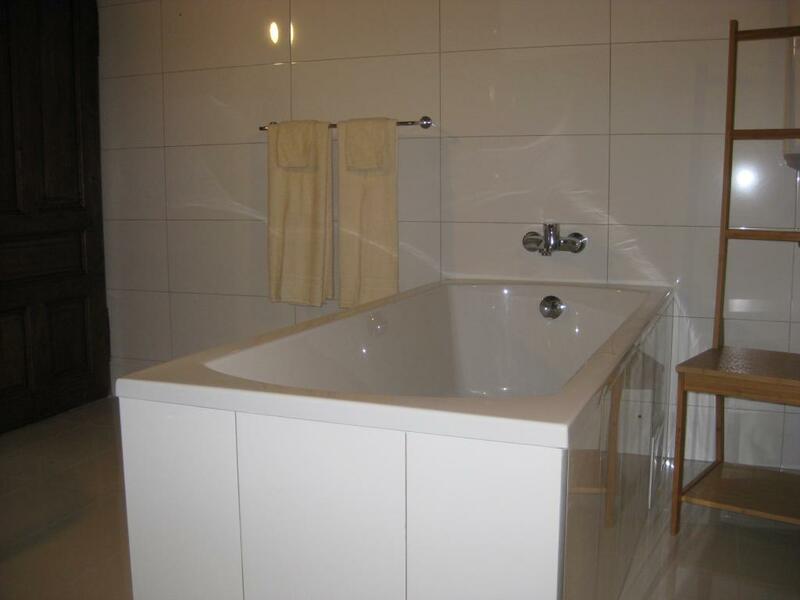 This double en-suite has a lovely comfy pocket sprung with memory foam mattress, and luxury accessorised bedding. The room has a full length mirror on the front of the wardrobe, which also has adequate hanging space, shelf and drawer space. 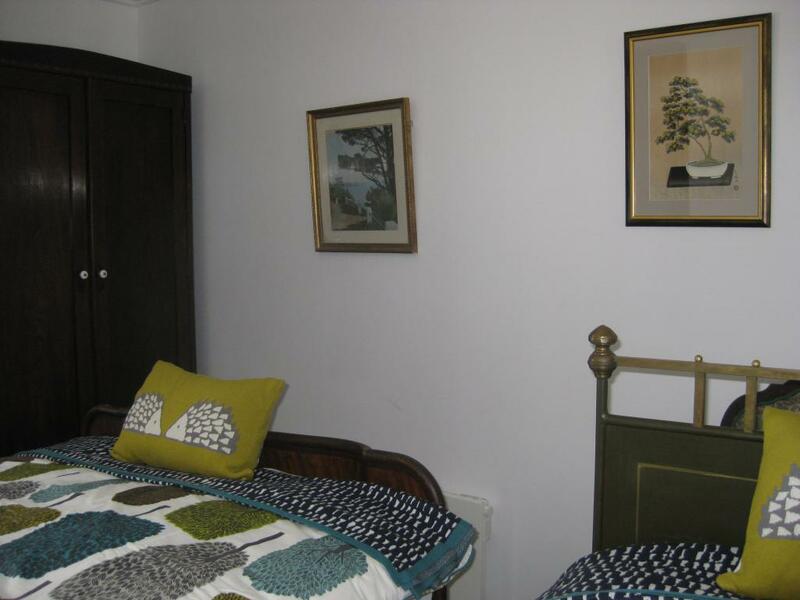 Decorated in a 1930s style, this room has a king size bed and a small but well appointed en-suite shower room. The room has a lovely atmosphere, created by the old wood panelled ceiling and floor boards and a lovely view of the garden which wraps around the side of the house. The king-size en-suite has a lovely comfy pocket sprung with memory foam mattress, and luxury accessorised bedding. The room has a large wardrobe, which also has adequate hanging space, shelf and drawer space, as well as a dressing table and a number of 1930s style accessories. 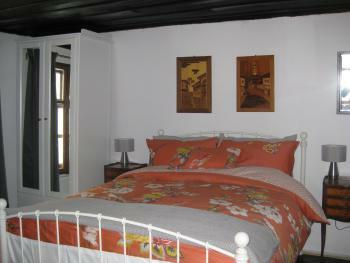 This room can be booked in conjunction with the twin room with private bathroom to make a self-contained family suite. 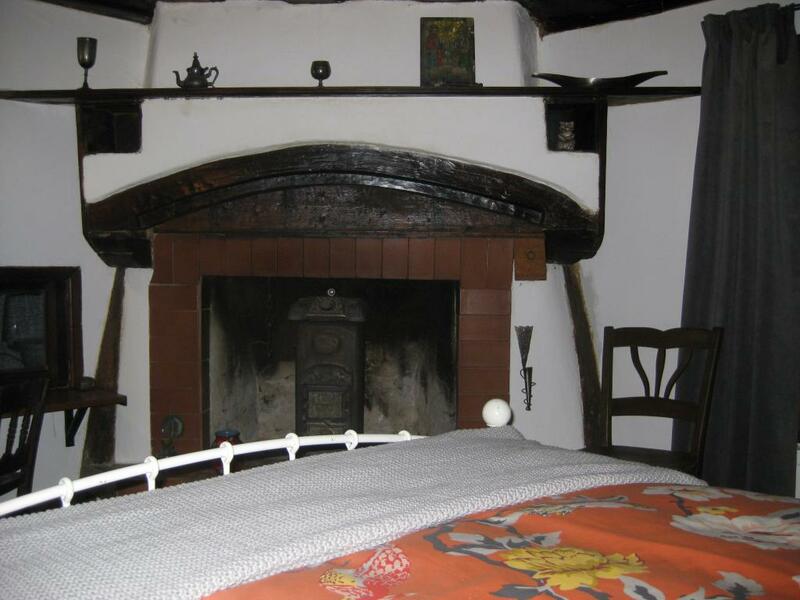 We have two guest rooms in the Gatehouse, which is located across the courtyard from the house. The rooms share a landing and are dual aspect, providing both a view of the old farm house and a beautiful view of the meadow and the wooded hillside. 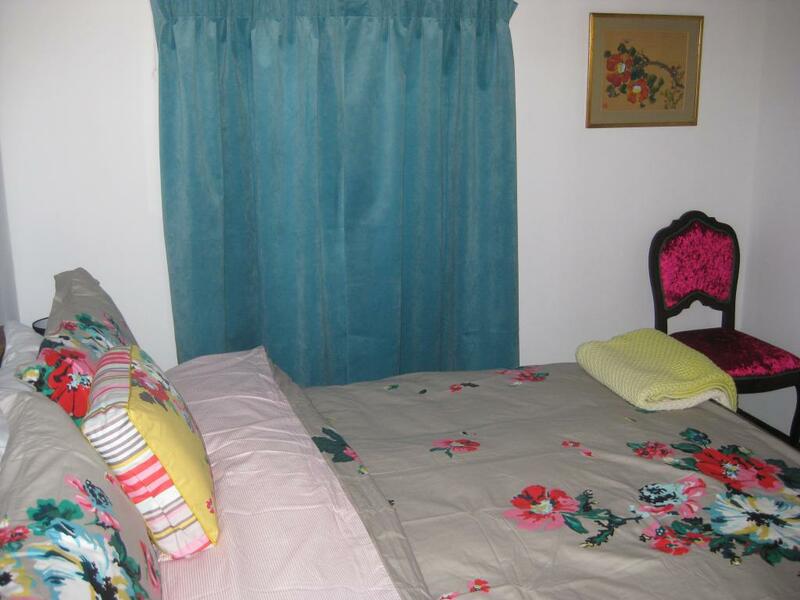 These rooms make a perfect family suite or getaway for a group of friends. 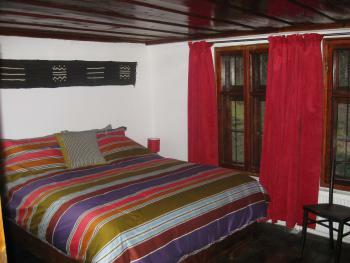 This is a quiet and cosy king-size en-suite room with dark 1930’s wood furniture, and dark wood ceiling and floor boards. This is complemented by a modern floral duvet set and brightly coloured furnishings and paintings on silk. 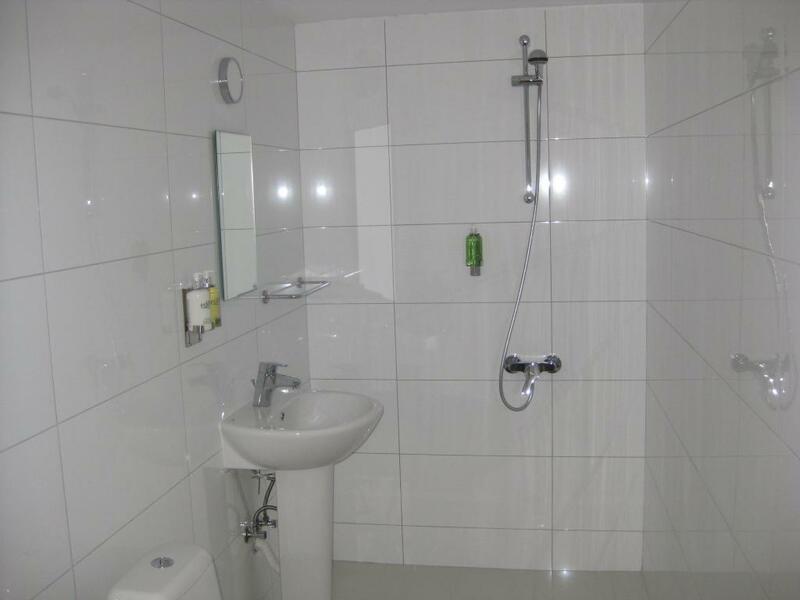 This cosy room has it's own large en-suite shower room. 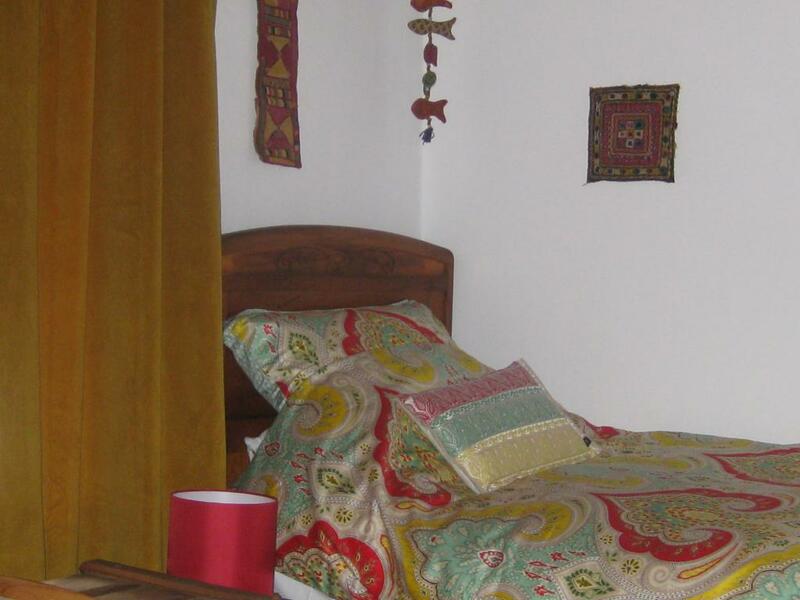 The bed has a lovely comfy pocket sprung with memory foam mattress, and luxury accessorised bedding. 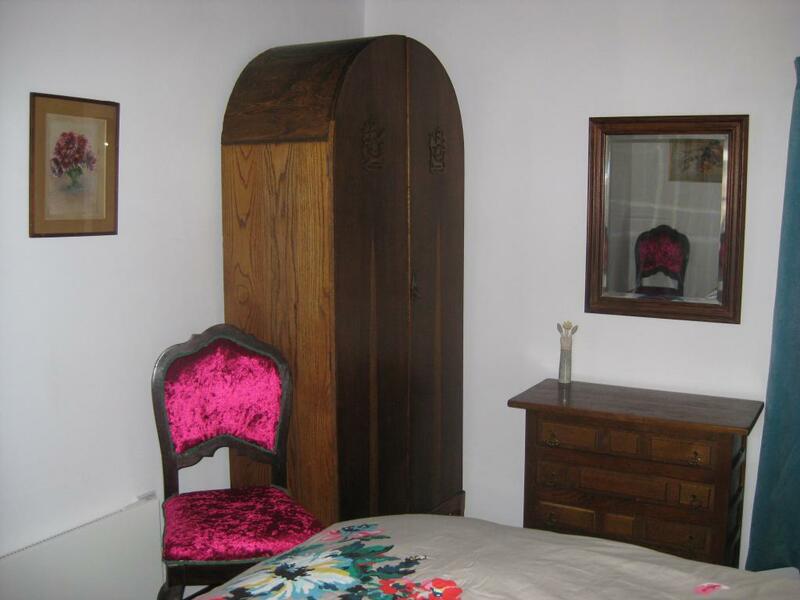 The room has a good sized wardrobe and the dressing table contains drawers with a mirror above. 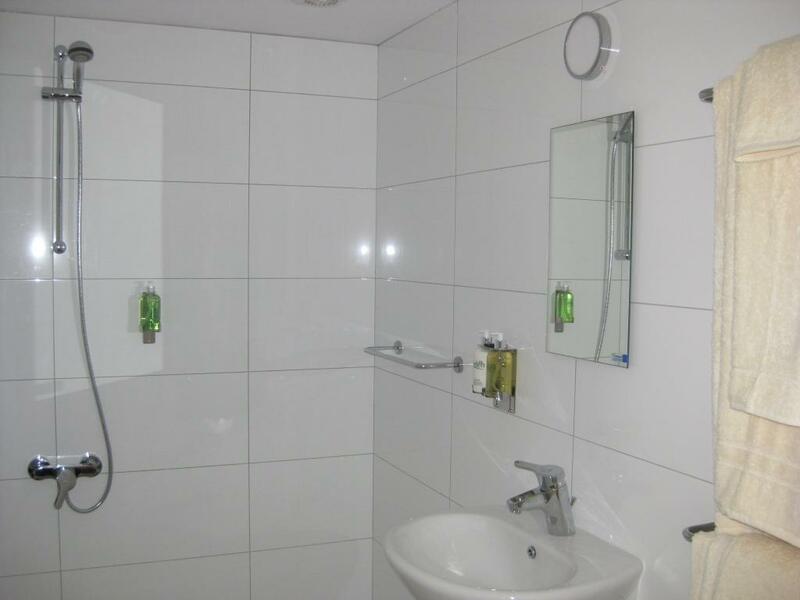 Towels, complementary toiletries, refreshment making facilities and a hair dryer are provided in the room. 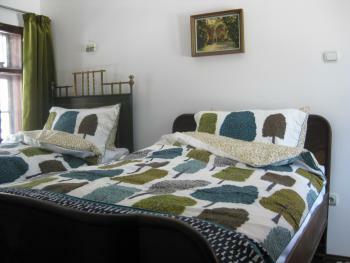 We have two guest rooms in the Gatehouse, which is located across the courtyard from the house. The rooms share a landing and are dual aspect, providing both a view of the old farm house and a beautiful view of the meadow and the wooded hillside. These rooms make a perfect family suite or getaway for a group of friends. A light-filled twin ensuite room with amazing old metal beds. This room has dark wood floor boards and a whitewashed boarded ceiling. This is complemented by white, green and blue furnishings and accessories.. 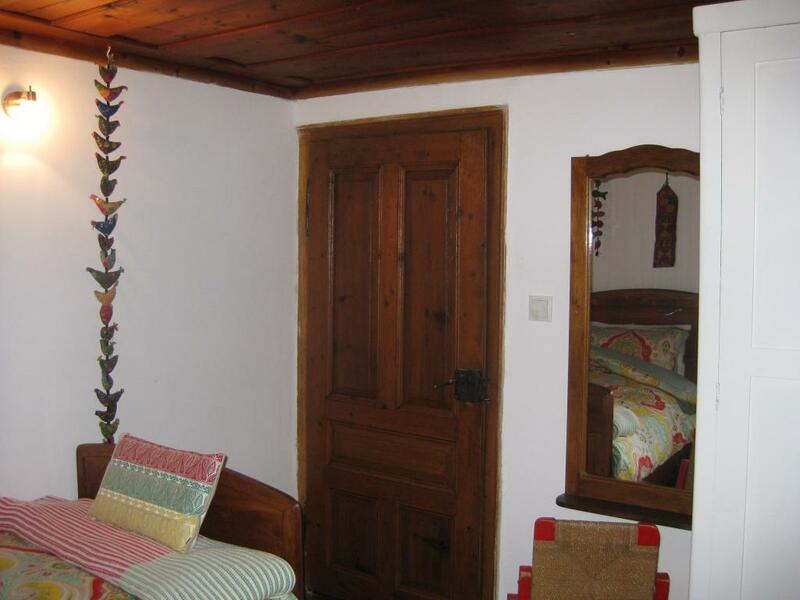 This lovely cosy room has it's own large en-suite shower room. The beds has lovely comfy pocket sprung with memory foam mattresses, and luxury accessorised bedding. The room has a large wardrobe with a drawer and the dressing table contains a cupboard with a large antique mirror above. 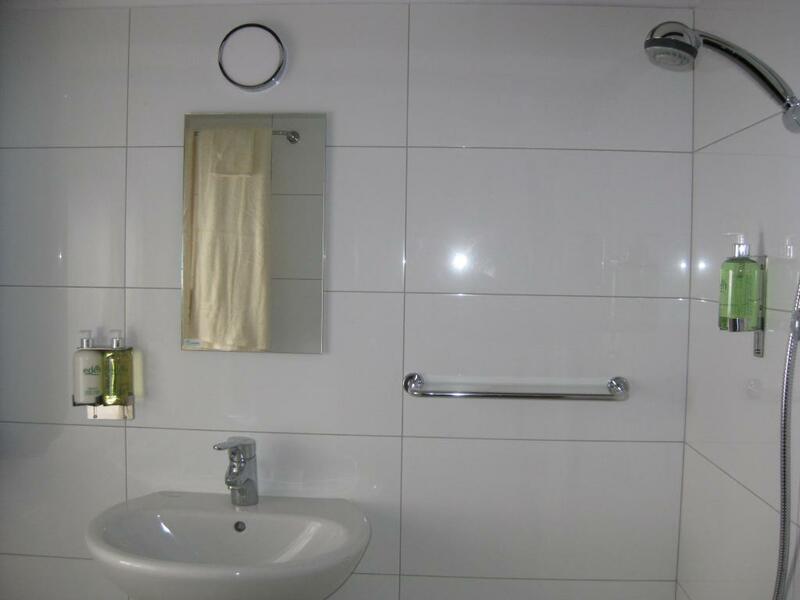 Towels, complementary toiletries, refreshment making facilities and a hair dryer are provided in the room. Decorated in an Indian style including paisley Jaipur bedding, this twin room has two single carved wooden Bulgarian beds and an antique carved wooden chest. The room has a lovely atmosphere, created by the old wood panelled ceiling and floor boards and a lovely view across the top of the gatehouse to the wooded hillside beyond. 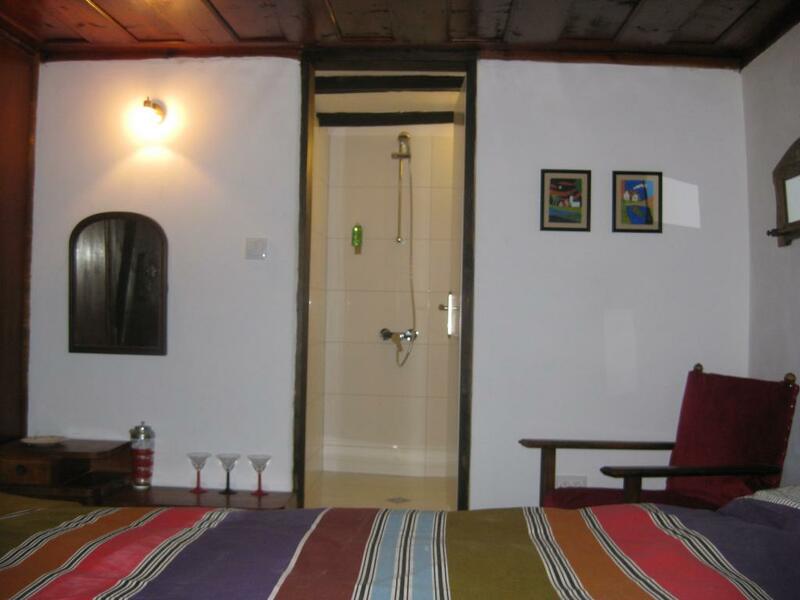 This lovely bright room has it's own private shower room, which is small, but well designed to provide everything you need for a comfortable stay. 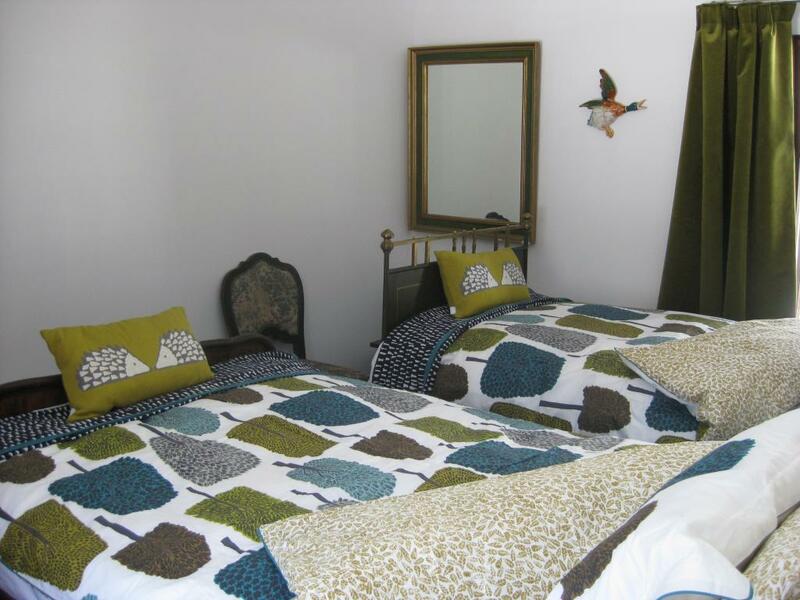 Both beds have a lovely comfy pocket sprung with memory foam mattress, and luxury accessorised bedding. The room has a large wardrobe, which also has adequate hanging and drawer space, as well as a small dressing table with full length mirror. 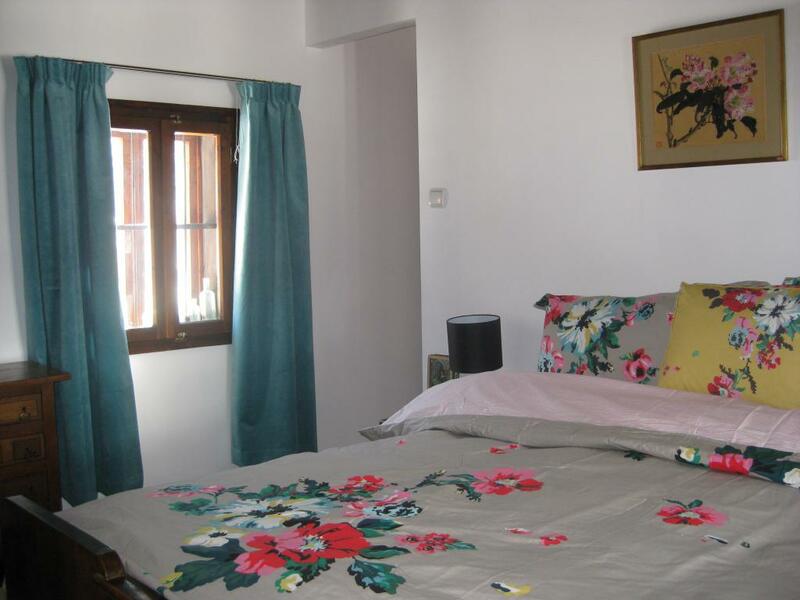 This room can be booked in conjunction with the double room with en-suite shower and garden view to make a self-contained family suite. 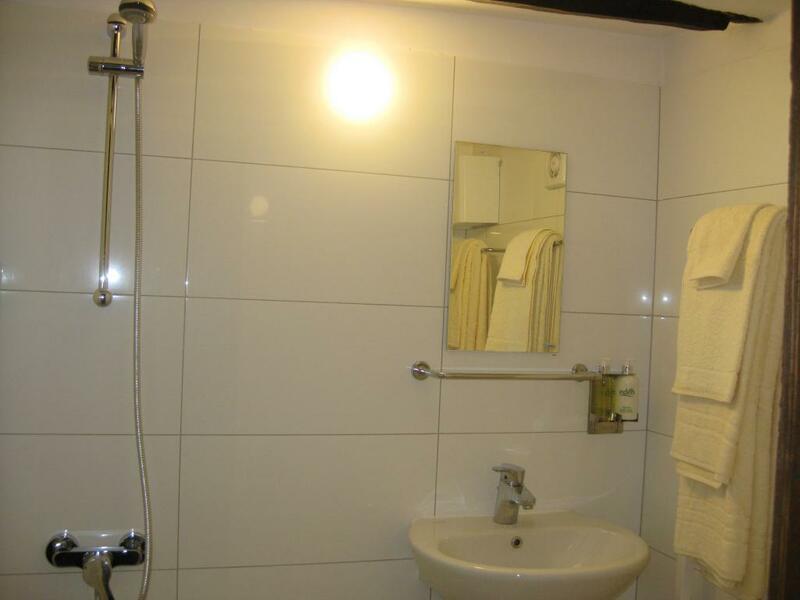 Towels and complementary toiletries are available in the private bathroom, and refreshment making facilities and a hair dryer are provided in the room.